Earlier this month, we were approached by the fabulous Wedding Espresso to be interviewed for their upcoming webinar and news story on The benefits of bespoke wedding stationery. For those unfamiliar with Wedding Espresso, the site is run by Rachel and James who provide advice on planning your own wedding. Featuring numerous online videos, webinars, posts and interviews with industry professionals, their site aims to help those wishing to plan their own wedding. What are the benefits of benefits wedding stationery? 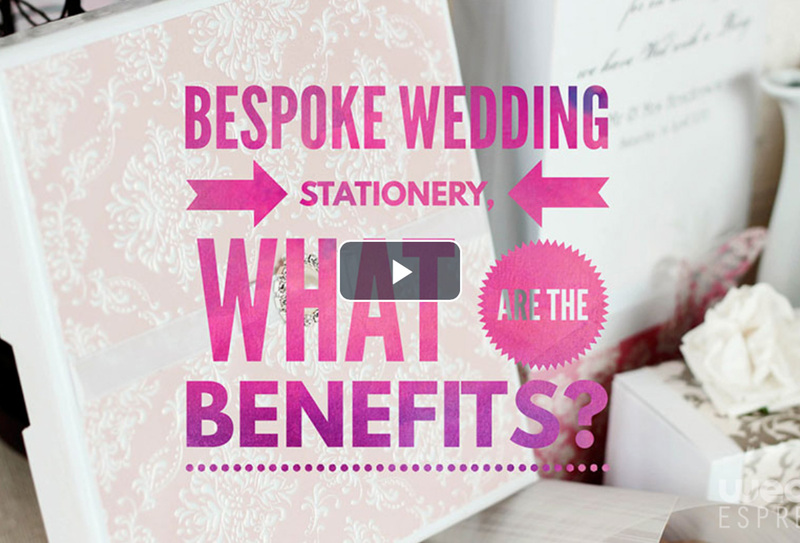 What makes a bespoke stationery package truly bespoke? To watch, listen and read the full interview, head over to Wedding Espresso where you’ll also find a host of other great videos.